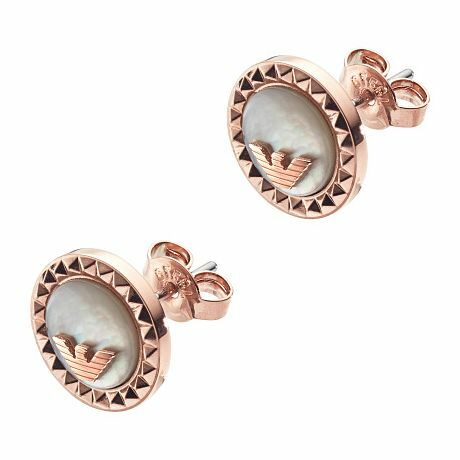 Italian fashion house Emporio Armani presents these beautiful rose gold tone stud earrings. Whilst minimal in design, they are a subtle and stylish fashion accessory ideal for adding that extra glamourous touch to your daily outfits. The incandescent motifs features the signature Armani logo.